Maitland, Florida, August 11, 2016 - On Saturday, August 6th, Russel Allinson, Therigy CEO and Chief Clinical Officer, was named the 2016 Next-Generation Pharmacist Technology Innovator for the development of the company’s flagship product, TherigySTM™. The award is given to a pharmacist who successfully leverages pharmacy technology tools to advance patient care standards, business profitability and/or employee productivity. Allinson co-founded Therigy with Joe Morse in 2006. They set out to leverage technology to support the effective delivery and documentation of therapy management for patients on specialty drug therapies. TherigySTM extends beyond a technology solution by providing pharmacy users with a robust library of clinical content based on current best practice guidelines and standards of care practice so pharmacies can fully meet the needs of patients. Over 1,300 pharmacy professionals across the country utilize TherigySTM every day to support over 120,000 patients. TherigySTM is used by one in every five URAC accredited specialty pharmacies and sixty percent of URAC accredited health system-owned specialty pharmacies. More specialty patients receive therapy support each day through their pharmacy’s use of TherigySTM than any other solution. 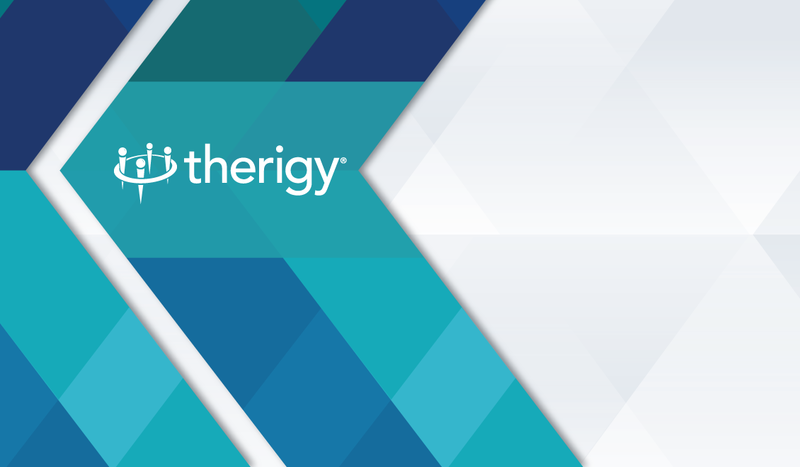 In 2014 the University Health System Consortium – whose membership includes the leading academic medical centers in the U.S. – selected TherigySTM as the preferred therapy management tool for their member institutions. Since 2010, the Next-Generation Pharmacist Awards presented by Pharmacy Times and Parata has honored pharmacists, technicians, students and industry advocates who are defining the future of pharmacy. The 2016 Technology Innovator award is a great testament to the contributions Russ has made in the specialty pharmacy industry. Therigy is the trusted source for innovative, best-in-class software and expert consulting services to the specialty pharmaceutical market. Clients leverage Therigy’s solutions, data, and insights to achieve clinical and economic success by aligning strategy, technology, and people. Russel Allinson co-founded Therigy in 2006 and serves as the company’s CEO and Chief Clinical Officer. Russ is responsible for the company’s strategic vision and direction, providing leadership to the clinical research and development team and delivering thought leadership to Therigy’s clients. One of the industry’s most respected authorities on specialty pharmacy operations, adherence and clinical programs, and informatics, Russ has extensive experience as a senior executive in the health care and specialty pharmacy fields. Before founding Therigy, he served as General Manager at the Aetna Specialty Pharmacy and was Chief Pharmacy Officer at Priority Healthcare. In addition to being in charge of all pharmacy operations, he led the development of clinical programs for managed care and pharma partners. In the pioneering days of specialty pharmacy, Russ served as Vice President of Operations at Stadtlanders. Early in his career, he held several roles in hospital pharmacy and was the hospital administrator at Shadyside Hospital. Russ gained start-up experience at Ariba, the leading internet-based supply-chain software company. Russ received his B.S. in pharmacy from the University of Pittsburgh and his Masters in Pharmacy Administration from Ohio State University. He completed a residency at Riverside Methodist Hospital in Columbus, Ohio. He is a member of the Rho Chi Honorary Pharmacy Society. In 1995, he received the University Of Pittsburgh School Of Pharmacy Distinguished Alumni Award and in 2008 was presented the Jack L. Beal Post Baccalaureate Award by the Ohio State University College of Pharmacy. Sponsored by Parata and Pharmacy Times, this national awards program honors pharmacists, technicians, students and industry advocates who are defining the future of pharmacy. Since 2010, more than 150 pharmacy leaders have been named finalists or winners.